Robinsons quizzed 1,000 British expats living in Africa, the Middle East, Europe, North America, Asia and Oceania on their lifestyles and language skills, revealing some interesting truths about the lives of Britons living abroad. When asked about their social circles, approximately 27% of people noted that the majority of their friends and acquaintances abroad were other expats. Just 10% of people had “exclusively local” friends, and 60% a mix of locals and expats. Interestingly, the survey results show that older expatriates are less likely to expand their social horizons than people in their 20s and 30s. Just 7% of people aged 18–24 were friends with exclusively British expats, compared to 82% of people aged 45–54. Language is clearly one of the biggest barriers to socialising with locals, as expats in other countries in which English is the primary language typically had much more local groups of friends than expats in non-English speaking countries. Only eight per cent of Britons in New Zealand reported that their friends were mostly from Britain, compared to a survey average of 27 per cent. In Canada, a similar nine per cent of British expats reported being friends mostly with people from the UK. In addition to language, culture plays a huge part in determining the percentage of expats that make local friends. Countries with similar cultures, such as Canada, the United States and New Zealand, had the highest levels of expat/local friendships. Expats living in Africa and the Middle East, where there are often major differences between local culture and the culture British expats are used to, were the least likely to befriend locals and the most likely to socialise only with other expatriates. 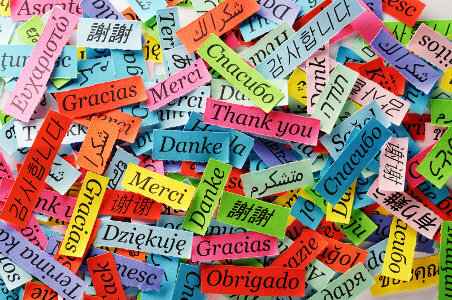 Learning a new language is one of the most challenging parts of moving to another country, with 37% of British expats either failing to learn the local language in their new homes or making no effort at all. Much like socialising with locals, younger expatriates were more likely to learn the language in their new home than their older peers. While 51% of expats aged 35 to 44 reported fluency in another language, just 30% of expats aged 55+ were fluent. There are a variety of reasons for the disparity in language fluency and socialisation between different age groups. One possible explanation is that younger expatriates are more likely to live in another country for study, while older expats are far more likely to relocate for work or during retirement. Another possible explanation is comfort. With larger work and family commitments, expats aged 35 and older are more likely to value the stability of continuing a British lifestyle—the lifestyle they’ve grown used to—in their new countries. Despite the aversion many expatriates have to mastering a new language or making new friends, these two aspects of living abroad are widely considered the most vital aspects to integrating into another society. From discovering new aspects of a culture to growing familiar with new towns and cities, language proficiency and a local social circle can make expat life easier, more rewarding and significantly more interesting for Britons living abroad. This entry was posted	on Sunday 29 March 2015 at 10:04	and is filed under Lifestyle. You can follow any responses to this entry through the RSS 2.0 feed. You can leave a response, or trackback from your own site.